Despite technology taking marketing more online, direct mail is alive and well, just with an updated look. Terry Holman, Founding Partner of ActuallyWeDo™ Design says that relevance, along with good design, is key in creating direct mail that gets people’s attention. 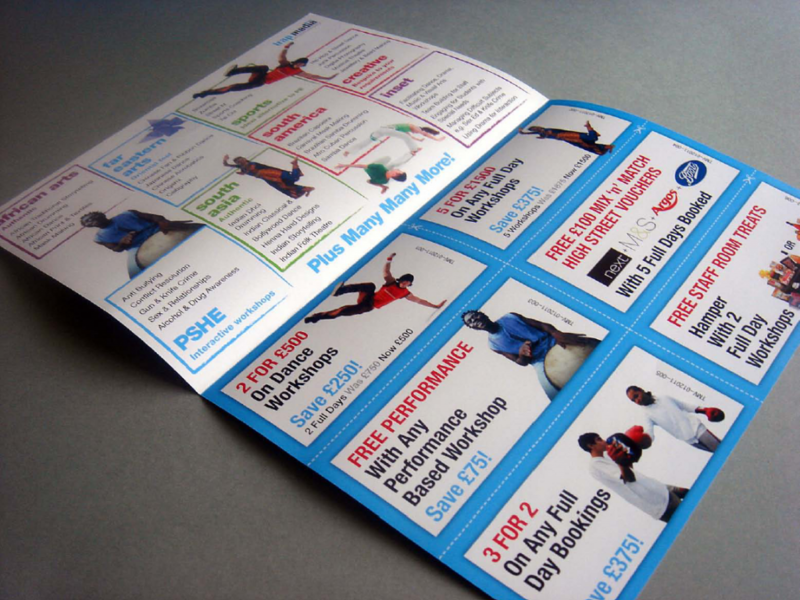 His company worked with Trap Media to create a visually appealing voucher book, which was featured in Visual Marketing. The first step in creating direct mail that people will read and act upon, says Holman, is knowing your audience. What interests them? What sort of offers will make them jump off the couch? Next, you need a strong call to action and clearly visible contact information. When it comes to design, there are several ways to get the attention of your audience. Holman’s team strategically placed the words “£1200 Free” on the outside of the voucher, which made people want to open it. But it’s important not to mislead your audience: “Stay true to the offer you are providing even it takes a slightly different form than may be perceived. While this voucher leaflet did not physically give out £1200 it did offer £1200 in savings, which put £1200 back in the pocket of each user,” explains Holman. These days, technology gives us ample opportunity to see what offers are working best. Holman and Trap Media implemented reference codes on each of the coupons so that they could see which deals were redeemed the most, and which did the poorest. Barcodes and QR codes are also great ways to track how well direct mail does. Thanks to the tracking, Holman says the project produced a 2,000% ROI. Not bad for a day’s work. Taking the time to carefully plan out your direct mail strategy, as well as including a tracking system, can help you reach new customers. Get creative visually, and have fun with it! You’ll end up with mailers that people talk about and use.